Tazio on his way to his 1st race car win in Pittsburgh, in June 2016. Here you can follow High School Teen Tazio, as he races around the world. 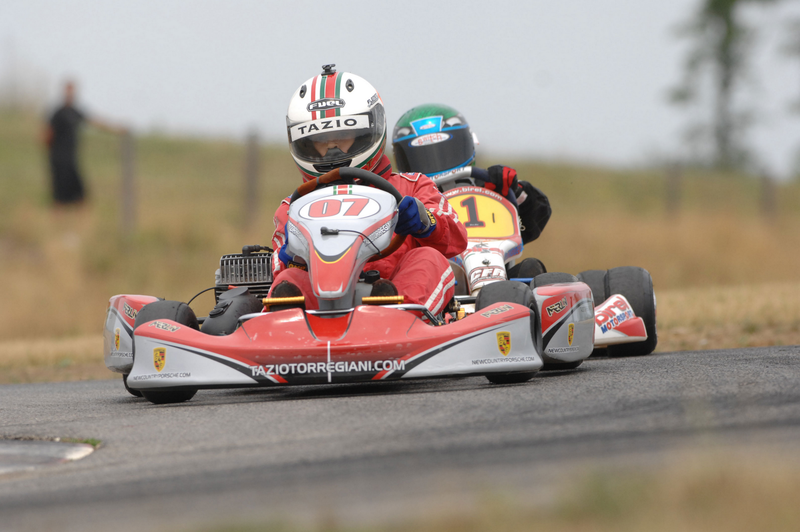 12 year old racer Tazio Torregiani has had a busy summer burning up the track in his race karts. Tazio Torregiani on his way to 1st place in the Beaverun series. He started his July by traveling to the fast kart track at Beaverun Motorsports complex in PA, for the Beaverun Championship Karting Series. It was Tazio's first time at the track, and It took him no time to learn it and go fast. It was a great turn out from the regulars. 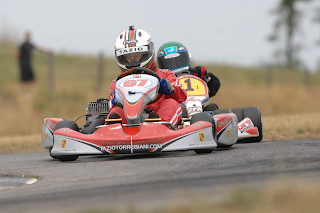 Tazio, running at the front in Junior Sportsman class, engaged in a nice last lap battle and won the race. The following weekend at the same track, the WKA Man Cup National circus came, with some of the best drivers in North America. Tazio was very fast, but with his share of bad luck. In both Cadet races, Tazio was taken out by other drivers at the start of the pre finals which meant he had to start last in the finals, but still out of 30 National drivers he managed to finish 12th. In early August, after a few years, Tazio returned to the OVRP kart track up state NY, with the WKA Divisional NJ Sprint Series. This is the track where Tazio began racing in a kid kart when he was six. Tazio finished on the podium in nearly all the final races over the weekend, including one third place, three second places and one well deserved win in RP Junior Sportsman class, making his move from third to first with one turn to go. "I loved every second of it when I was catching them up, last turn I passed them..... I was so happy" Said Tazio after the race. At Raceway Park, in Englishtown NJ, Tazio has been finishing every race on the podium. But the highlight has been on September 4th, when Tazio entered his first ever race in Junior class with the bigger and much faster kart. National Champion Mike Doty, from Mike Doty Racing gave Tazio the opportunity in a Haase Junior chassis. The Fairfield County driver made the best of it, scoring a great second place against regular Junior drivers. Tazio will move up into this Junior class in Regional and National competition next year. The www.TazioRacing.com team would like to thank Mike Doty, and their sponsors; www.NewCountryPorsche.com, Leatt neck Brace, GoPro, Fuel Clothing and Steel MX/SMX Optics.